With off-market listings on the rise, it is critical you know what makes a great ‘off-market’ campaign and achieve a sales price your vendor is happy with, without the vendor spending on expensive advertising. 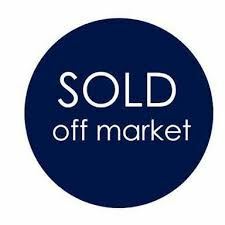 ‘Off market’ listings are those ‘quiet’ listings for vendors who don’t like the auction process, don’t want their neighbours to know and are not pressured in a timeframe. Also many don’t want to spend on expensive advertising campaigns with the uncertainty of it selling at auction. 2. Prepare copy, arrange for the following 4 or 5 interior photos only – lounge, dining, kitchen, bathroom and master bedroom. If possible a floorplan would be ideal. Most buyers will not view a property unless they have a description and/or see photos. No street address is required, just the suburb, so therefore keeping the property anonymous. 6. Register and upload property details to Property Whispers – Australia’s only off-market platform where buyers are instantly matched with the specifications of the property. These buyers may not be on your existing database as new buyers register daily. 7. Invite buyers individually for a private appointment or arrange a ‘private open home’ if there is more than 1 buyer showing interest. Having multiple buyers together will create competition and assist with negotiating a higher price. 8. Seek offers from buyers and let them know they are ‘in the box seat’ to own this property before the vendor changes their mind and decide to go ‘on-market’. With years of experience in the real estate industry, Liane Fletcher has a wealth of knowledge and understanding when it comes to the needs of buyers and agents alike. After seeing a gap in the market, Liane partnered with a long-time friend, now business partner Larry Mendelowitz, to create Australia’s newest and most innovative online real estate platform. The duo launched propertywhispers.com.au in May 2017 – the home of off-market properties.